It was the largest check The Salvation Army of Brown County’s Red Kettles have received this Christmas season, in size and amount. 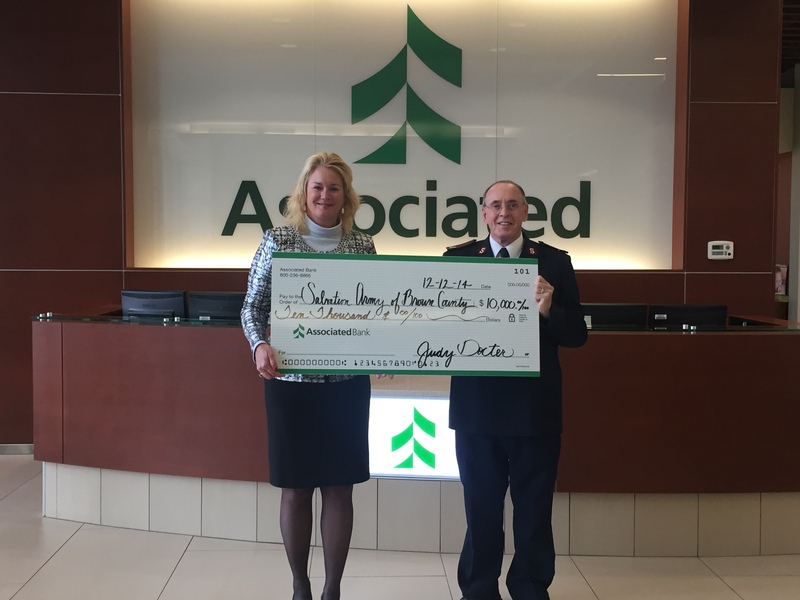 On Friday, December 12, Salvation Army officials and Associated Bank employees got together for a check presentation from Associated Bank’s $10,000 Black Friday Kettle Match. For the third year, Associated Bank matched all Red Kettle donations at over 65 locations in Brown County on “Black Friday”. The match was successful with the kettles bringing in over $13,000 on that day. The funds from Associated Bank will help The Salvation Army of Brown County reach its 2014 Christmas Campaign Goal of $1.1 million. Funds raised through the Christmas Campaign support social service programs of The Salvation Army of Brown County throughout the year.